The latest in FFG’s “unique” games which promises a wholly unique set of components to ensure a story playing experience that will be all your own. 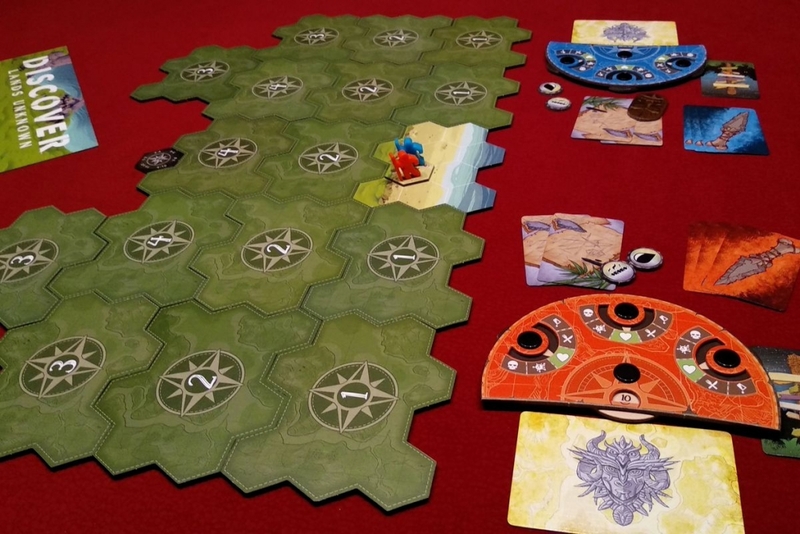 Discover: Lands Unknown is a difficult game to cover. The entire game plays out like a story so any discussion into the game itself will have potential spoilers. However, there are some basics which aren’t so much spoilers as they are listed on the box itself. The players awaken in the middle of the wilderness with a terrible migraine with no idea how they each got there. With a sharp howl echoing through the trees, answers will have to wait. It’s up to the players to make the right choices if they want to survive by working together to search for water, food and any tools they might need along the way. 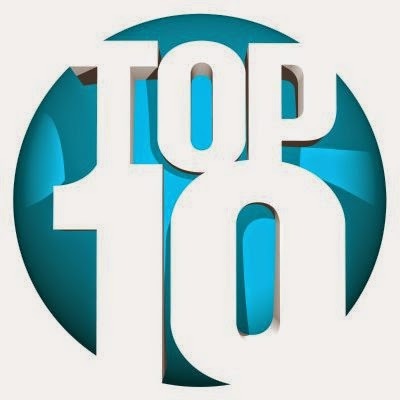 Discover: Lands Unknown is the latest in Fantasy Flight Games list of “unique” games. What they’ve done is design a number of games where each and every game box is literally unique. 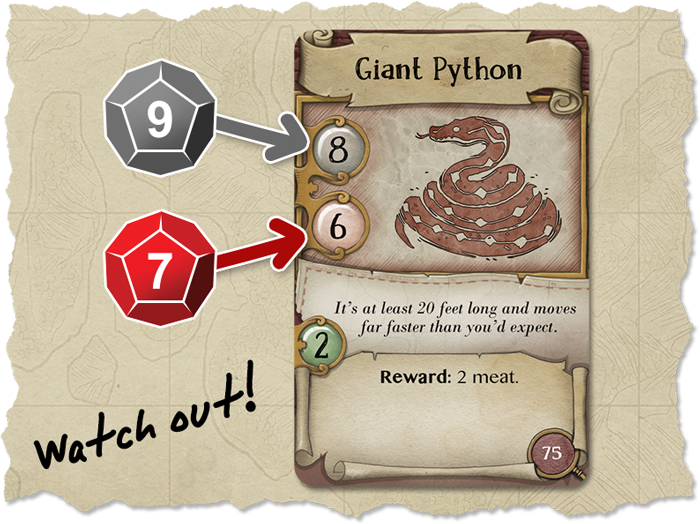 The components will all be functionally the same, but the specific cards you’ll get will differ. This makes each game box a unique experience and will change how the story within each unique game will play out. Personally, I’m excited to try one of these out for myself and then discover all the different story arc I missed out on. The game promises a unique combination of environments, storylines, characters, locations, items, and enemies will make each and every box a totally unique experience. If you’re curious about this game at all but dislike spoilers (like myself), recommend not even watching unboxing videos since even that will reveal some aspects of the game which will be unique to that box. So, like I said, this is a difficult game to cover. However, the concept of this game alone has me intrigued. I love going into any media totally blind. I saw the movie, A Quiet Place, knowing literally absolutely nothing about it and I’m glad I did. I have to assume Discover: Lands Unknown will be the same way. You awaken with a splitting headache and no idea of how you got here. The wilderness stretches in every direction, and something howls in the distance. Your quest for answers will have to wait; first, you need to survive. Will you help the others that are stranded here or will you save yourself at any cost? 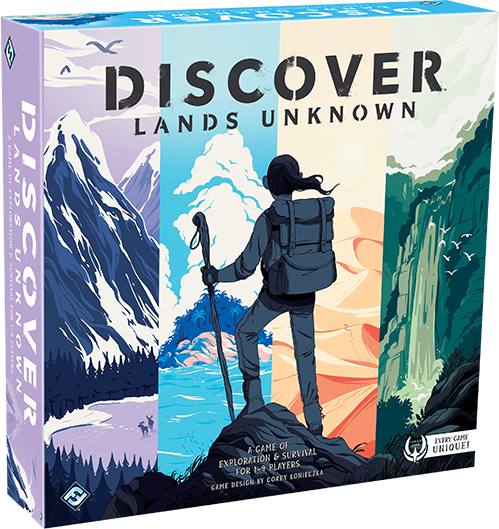 Survive the wilderness in Discover: Lands Unknown, a Unique Game designed by Corey Konieczka! 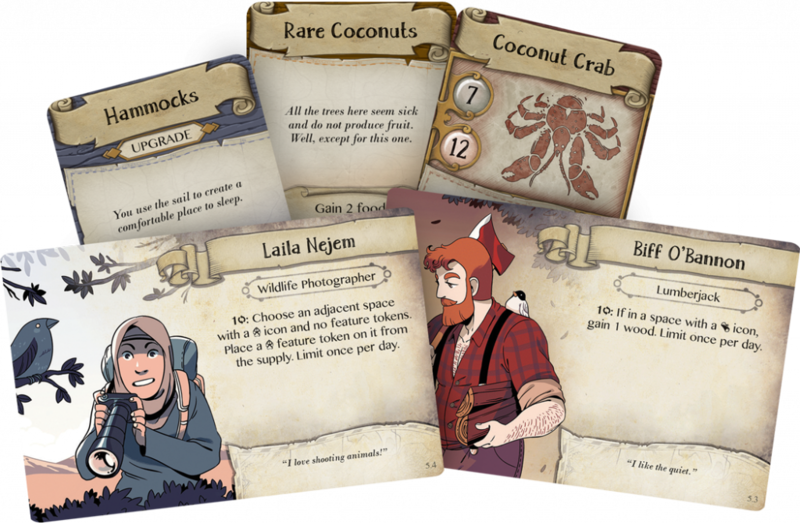 When one to four players find themselves marooned in the harsh wilderness, you must cooperate and compete to search for the water, food, and tools that will be essential to your very survival. But your adventure holds many secrets. Every copy of Discover: Lands Unknown is unlike any other in the world. As a Unique Game, each copy of Discover features a mix of environments, storylines, characters, locations, items, and enemies to craft an experience that can only be found in your copy of the game. What secrets await you in the wilderness?